Tropical Cyclone #16 or, Typhoon Goni, seems to have left Okinawa. Tonight, I took a stroll over to the office and, didn't notice much damage along the way. Not, having gotten out with the cameras, I had to dig up something from the past. 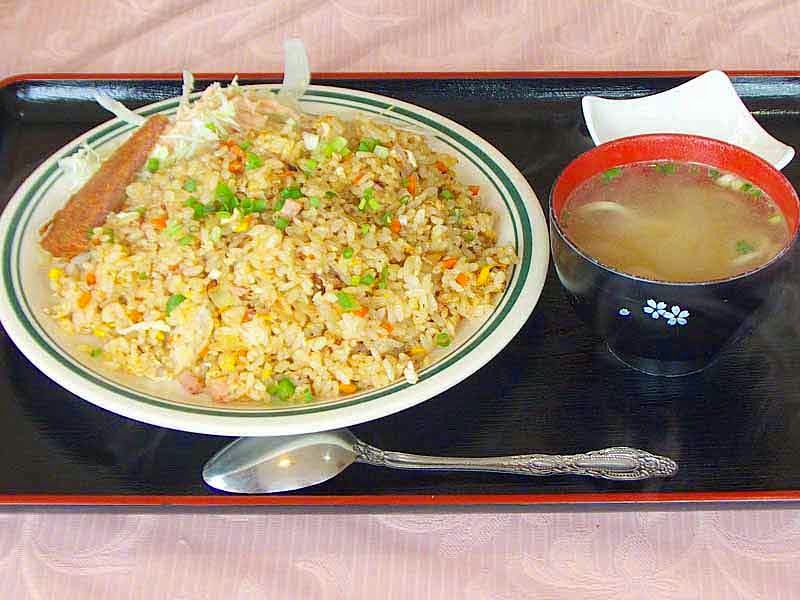 Fried rice is something, I consider, a lightweight meal. After woofing down a large sized bowl of it, I'm full, for about an hour. Then, the urge to sink my teeth into a cow starts kicking in. One one of those days where, I'm not really hungry, this is an excellent quick fix. A friend of mine, Benjamin Martin puts sake in his recipe. So, I thought if anyone wants to try cooking their own, I'd give a link to him. Find his recipe at More Things Japanese. It's time for me to inspect the bars over in Kin Town for typhoon damages !